Sharebox 3D is an external hardware component that allows you to do a lot of different things with your 3D models and 3D printer. It has Wi-Fi included so that you can control your prints anywhere you are with just a couple of clicks from the device you're working on. Sharebox3D will change the 3D printing world by simplifying every user's workflow. Currently, the 3D printing workflow consists of sorting the printing settings on the computer, saving the file and transporting it to the printer via SD card or USB. Sharebox3D allows you to send the file from a device (tablets, smartphones or computer) to the printer using a wireless connection. Sharebox3D also allows you to have remote-control of the printing process (and to watch it by installing a camera). Being fully wireless, it also possible to share files with friends and coworkers. Sharebox3D is also an archive: it's possible to store all the files, stl and gcode, to use them later and to evaluate them. We are young firm, active in the 3D printing world since 2012 with the aim to create and produce easy to use 3D printers with great printing quality. 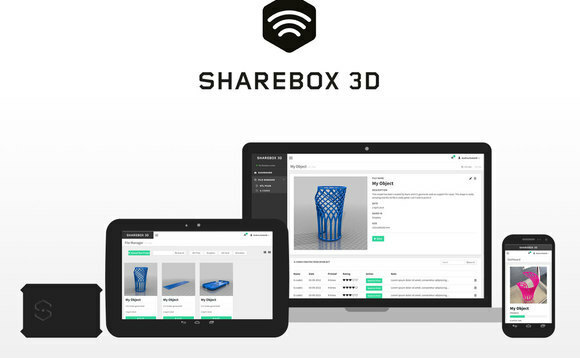 Sharebox3D arose from this concept: we want to be able to offer to this community a product that could be used by both expert and beginners and could innovate the 3D printing workflow. We were interested by the possibility of reaching millions of people (and not only 3D printing fans) with this well-known platform. As I said before, this product is indicated to both people who are already experts in this field and people who want to start to understand how this technology works. Sharebox3D could be used by anyone, it's simple, intuitive and user-friendly. It will be produced anyway before the end of the year but Indiegogo gave us the chance to have a different kind of publicity. 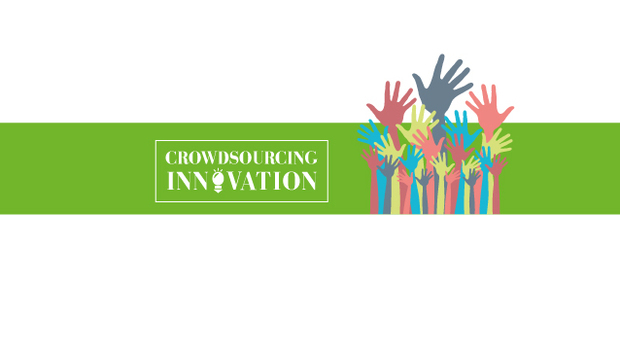 Yes, crowdfunding is a great tool for innovation. You can present your project to millions of people by giving them the information to understand what you're offering. You need to be creative. It's something we have never done and we were very thrilled about it. The 3D printing community has reacted quite well. The product is very interesting because a lot of users want to be able to control their printer remotely, and Sharebox3D is exactly what they're looking for. There's interest around the project. The campaign is still open, we want to see how it's going to evolve. What lessons have you learned from your campaign? Well, it started just a week ago, so it's quite early to say something about. We want to see what kind of reactions Sharebox3D will generate. There are many 3D printers on Kickstarter and Indiegogo – is the market over-saturated without enough standout players before it’s really taken off? Crowdfunding gives to everyone a chance to receive help for their projects but only really good projects became products, it's the difference between a smoky project and a project that can be really useful. The 3D printing market is evolving. The entire technology is evolving and so are the printers. What we know today is just a small part of the entire 3D printing world. It's very exciting and that's because you may have read about something new every day. 3D Printing has yet to really take off in the public sphere – what do you think needs to happen to turn people on to the concept en masse? The technology has to become more user-friendly and it has to be created a 3D printing culture to educate people new to this new world. It's just about time: during the next couple of years 3D printing could be something really commonly used. At Sharebot, we have an Academy program: we're organizing courses, events and workshops to teach people how to use a 3D printer. These machines are the future and the people must be prepared. As producers, we don't want only to sell printers but we want that the people could understand what they can do and they have to be used. Do you think 3D printing manufacturers put enough thought into the software side of things, or is it more important to get the hardware right first? There isn't one side more important than the other one. It's important to develop both parts in order to have a complete 3D printer. Without the software, you can't generate the gcode and manage the file, but without the hardware you can't control the print. This is a great innovation for this technology: until now a user must stay in the same room of the printer to control his process and be able to do some little adjustments when needed. Sharebox3D allows to do all this adjustments remotely from a smartphone (or tablet or PC), changing and innovating the way 3D printing works for everyone. What next for the company and the product? Sharebox3D will be industrialized before the end of 2015; now it's a functioning prototype and through the crowdfunding we will complete the product development and start the production. The challenge is to be able to receive help from the 3D printing community to give them something that will improve their workflow and their prints. As a company, we have a lot of projects that we are going to release in the next few months. We presented three new 3D printers during over the Autumn period: SnowWhite, Q and Voyager. We've also just presented another DLP printer developed with Mario Di Maio Spa at the important VICENZAORO: it's called Sharebot J-3D and it's dedicated to the jewelry makers. « Keepod Africa: Computing access for all? Election Ahoy! Can Pirate Party Ride PRISM Outrage to Australian Poll success?